I know this is practically heresy around the personal finance community, but I don’t think everyone should contribute to his 401(k) or equivalent, even when a company retirement match is available. I didn’t think that I held that opinion until I advised a coaching client to pass up his unlimited 100% company 401(k) match. I am supposed to advise my coaching clients according to the Dave Ramsey Baby Steps, perhaps with some reasonable modifications. 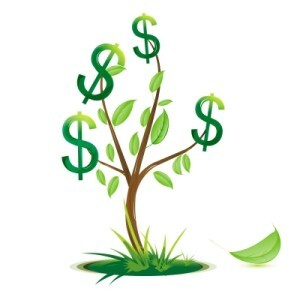 Starting Baby Step 4 (saving for retirement) early to take advantage of a company match while still on Baby Step 2 (paying off non-mortgage debt) is a reasonable modification that was endorsed by the person heading up this coaching program. So the fact that we are using the Baby Steps as the framework for our coaching was not the sole reason that I discouraged this client from contributing to his workplace retirement account. The company retirement match is really a wonderful opportunity that people should, by default, take advantage of. Depending on whether your match is 50%, 100%, or some other fraction, that is a guaranteed return on your investment even before your money goes into the investments that you choose. Considering that the stock market may only give a 10% return over the long term, getting an immediate 50% or 100% return is really stupendous. By passing up a company match, you are essentially giving yourself a pay cut, and who would do that? The only reason I think that you should pass up a company match on your retirement account is if you are living with so little margin in your life that it isn’t clear that you will be able to consistently pay your basic bills. The lack of margin could be evidenced by either drawing up a close/in-the-red budget or having absolutely no available cash for a rainy day. Many young people just starting out may have trouble balancing their budgets. Perhaps they have quite high minimum payments on their debt, have inflated their lifestyles past the ability of their income, or don’t yet know all the expenses that will crop up over the course of the year. 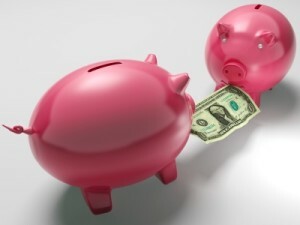 If you draw up a budget that either shows that your income won’t cover your basic expenses and minimum payments or it’s very close, you should focus first on making your expenses come in safely below your income before starting to save for the long term because not going into (likely credit card) debt if you have an off month should be the higher priority. To create that room in your budget, you can either cut your expenses or earn more money. Even if your budget shows that you should be in the black by a small margin, if you don’t have a bit of cash set aside you may very well be blindsided by an unexpected expense. Even if you are just inexperienced with budgeting you may not know all the expenses that pop up once or twice per year, and you don’t want to let one of those random expenses derail your budget by not having any savings. This savings could be in the form of a small emergency fund or perhaps some money you just have set aside for targeted savings. Though my client was doing very well keeping his expenses low, he still didn’t have a plan for how to live on his income while making his minimum debt payments. I therefore had to advise that he work on generating consistent side income to first balance his budget and then contribute to his retirement fund. I emphasized to him that he had a great opportunity with the company retirement match and that he should use that match as a carrot to meet his side hustle goals. Do you think it’s ever advisable to pass up a company retirement match? Have you ever had a company retirement match available to you that you didn’t take advantage of? 35 Responses to "When to Pass Up a Company Retirement Match"
I would have a REALLY hard time passing up a company match in a retirement plan – as you pointed out, it’s like free money/a pay raise, and since one of the things I need to do to get to financial independence is to increase my income, I think not contributing to get an employer match would cause me physical pain, lol! But to be fair, I’m probably biased – I’m not paying off debt (and I’ve never had debt), so my situation is entirely different than the individual you’re coaching. Kali @ CommonSenseMillennial recently posted..My Goals for 2014: Big Plans for a Big Year! I’ve never had a match available to me, but I think I would do everything in my power to get it in full if I did. I hope I imparted the same attitude to my client! I agree with you that someone truly living right on the edge shouldn’t automatically send money into an account with access restrictions. Yes you are passing up free money, but hopefully we’re talking about a short time period and what we really want to build are habits that can take us through the long term. If that means sacrificing a few months of a match so we can figure out how to get some breathing room, then so be it. If we were talking about a Roth IRA, I might have a different answer, but like you said money in a 401(k) is not easily accessible should there be one bad month. I hope he can be confident that he can start saving in a few months! Mr PoP didn’t contribute at two of his previous jobs because he had no intention of being there long enough to vest. Instead he saved in other ways because the high cost plans weren’t worth it to him without the match vesting. That’s a good point and one I don’t know much about. You just hope you don’t end up being wrong in your guess about how long you’ll stay! This particular client had already been at the job long enough to vest. Usually with a 100% employee match, you are still ahead if you put the money in, get the match, and then take the 10%(?) early withdrawal penalty. The only time you wouldn’t be is if there are rules on how long it takes to vest the match. You’re probably right, but I’d be hesitant to advocate making that as the plan A. What if there is some kind of loophole with the employer match about keeping your part in for the year? What if you don’t properly execute the withdrawal? What are the tax implications? I’m sure those are answerable with sufficient research, but for the overall financial health of the client I’d still say earning a bit more in side hustles is the better plan. It’s kind of the same reason why I don’t advocate using 0% credit card offers for balance transfers or making purchases before you’ve saved for them – it’s all good if things go exactly according to plan, but the likelihood of screwing up somehow is high and the penalties for doing so may be harsh. Depending on the numbers, the upside could be quite large, much larger than side-hustles could bring in. Or it might not be worth it. Just like a 0% credit card balance transfer can be a really great idea in some debt repayment situations (for example, when you’re committed to repayment but losing more in accruing CC debt each month than you can handle and the screw-up factor is equal to or less than the APR on your current cards) and not great in others. People don’t do this because the people who know about this loophole are exactly the kind of people who think that your retirement funds should be sacred. So it isn’t advertised. And maybe this person shouldn’t get into the habit of withdrawing funds at a penalty. But the idea is that you put in your 100X in the 401K cash option, then your company matches it, giving you 200X, then you take out 111X, keeping 100X and sending 11K to the government (assuming I did the mental math right). You’re exactly the same off as before, except you have 89X in your retirement account instead of 0. Depending on what your X is, that can make a big difference. Much better than delivering pizzas. I understand what you’re saying, but it still doesn’t sit well with me. I’m just not into using these vehicles except for their intended purposes – like you said, that the retirement account should be sacred. I’d rather encourage my client to earn more outside his job and get the match without having to make the withdrawal. Behaviorally though, you set up the auto deduction for retirement saving once. It is a hassle to take money out each time. So not something a person gets used to doing. Depending on how much money we are talking about it could grant a nice cushion and end up getting the person to save for the future automatically. And there is no reason a person can’t do both side hustles and take free money out. Dave Ramsey is all one way in his book and in the class, but on the radio show he does allow for deviations from his main themes in a few special cases. I think I would do just about anything to put myself in position to get a 401k match, or any other source of free cash. Cut the cable, ditch the iPhone, ride a bike to work–whatever it took. All good suggestions for cutting lifestyle, but sometimes the best answer is to earn more. 🙂 But I agree with the sentiment. Wow- so true. I’ve luckily never been in that situation, so I’ve never thought about it from that perspective before. But you’re absolutely right, it really does depend on the person’s situation. If a person isn’t able to make their minimum monthly payments towards bills and debt, putting money towards retirement is definitely not worth it, even for a 50-100% match. Awesome advice and awesome post! Thanks, Ashley! I seem to often provide the “what if you’re super poor?” perspective around the PF blogosphere. That’s a tough one, Emily. I think from a behavior standpoint you are right: priority #1 ought to be living within your means. But even if the consequences are going into debt on a credit card, the guy probably comes out ahead with the match because it’s just so much higher a return than the credit card could possibly charge. Plus, the consequences for the credit card debt getting out of control are bankruptcy, in which case the credit card companies would likely get nothing (and his 401k is likely untouchable). I wouldn’t necessarily advocate someone go down that road, but I might recommend a second job to get him back in the black before stopping the 401k match. Almost anything is preferable to that. That’s a really good point. Depending where you’re living all sorts of things get to be kept in bankruptcy. In this case I think the behavior is worth a lot more than a few hundred or thousand bucks. No one wants it to get to the point of bankruptcy, even if you still have more money at the end. I guess it depends on your personality whether you should hamstring yourself into having to earn extra money to make up for the contribution or whether you should earn the money before committing to the contribution. Sometimes you don’t have an option, even if you are very financially strapped – it is mandatory for many (all?) pensions. It just comes right off the top since you are automatically opted in. I think it is better to try to work around it whether it is through side hustling, etc because then once your debt payment (or other expense) is over,… then you gave a nice lump sum. I don’t currently have any employer match, and am not contributing. That being said, when it am hired by the university, I will have a pension and it is automatic. There is no say in it. I will be thankful when I am getting roughly $9,000 per year in total contributions, even if it does drag out my debt repayment a little bit. That’s the tough part – it is this individual’s choice. We all just work with out net income, right? Tough choice Emily in regards to the match. If someone is that stretched where they can’t even make the minimum are they better off declaring bankruptcy and starting over. 401Ks are protected in bankruptcy. You can’t get rid of student loans, though! My client was actually quite responsible with his budget, just has a low-paying job (with great benefits!) and high student loan debt. A family member recently stopped contributing to retirement (and gave up his match) for a while so that they could get their finances together. They’re focusing on their debt and bills then plan on contributing again in the near future. It’s a tough decision but if (s)he is focused on quickly returning to the point of contributing it will work out okay. I think it makes sense to stop funding retirement when you’re still in debt (in most cases). In my case, I had student loan debt that wasn’t default-able and would never go away (unless I died), so I completely stopped funding retirement (well technically I’d never started) and focused on my debt until it was paid in full. Then I started saving for retirement. I think that’s a legitimate approach, it’s just that the match is so tempting! But sometimes if you don’t have that laser focus on the debt, it’s not going to go away. The person you were advising could be in one of the rare circumstances where paying off the debt is more important than contributing to a 401(k) with 100% match. I would hope that the possibility of making 100% on his investment would be a good carrot for him to quickly erase the debt or at least pay it down to be more manageable. This is the kind of debt that’s not going away anytime soon, so it’s important for him to earn extra money to pay all his bills and get the match as well. I could also see passing up on the match worthwhile if the match was only a low percentage (like a 25% match) and the 401(k) or 403(b) program had such exorbitant fees that even with the free money, it did not compensate. With retirement money, I think slowing increasing the amount is good for most people, even those living paycheck to paycheck. Although it might drive the HR person crazy, you are allowed to change your deductions.